For the past year, I’ve been a Customer Success Manager at Redbooth, getting companies and teams set up and creating webinars and resources for them. But before I started at Redbooth, I actually worked at a company in Amsterdam called IM Agency (at the time it was Fashiolista). I had just 3 weeks to choose a collaboration and project management platform, transfer all of our existing projects into it, and train the entire company. So even before I joined the team at Redbooth, I was thinking about what teams need to know in order to get set up efficiently in Redbooth. Here’s the thing: Helping new customers get set up in Redbooth is very rewarding, but it takes a lot of time and a lot of creativity for each one since it is all customized. Redbooth is very intuitive and easy to use. But at the same time, that’s part of the challenge: it’s very customizable and flexible. 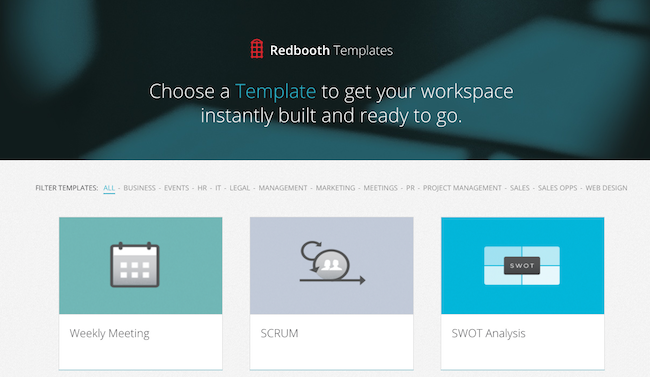 So when you first get started in Redbooth, you may create a new workspace and not know quite where to start. What we found here at Redbooth is that there are some very specific key steps that customers can take to dramatically accelerate onboarding and adoption. We took those insights and created a brand-new program for our customers: it’s called Redbooth Bootcamp, and it helps both admins and users get up and running in Redbooth faster than ever before. With the new bootcamps, we’re able to offer every customer and every admin something tangible to look at, provide inspiration, and supply a source of information and ideas. We’re very happy about it — It’s been a long time in the making. We knew right from the start that we’d be creating two versions of the bootcamp: one for admins and one for users. We know that there are different levels of usage, depending on whether you’re responsible for implementing the platform in your organization (as I was in my previous role) or you’re just part of the team who’s being asked to use it. The admins are doing the heavy lifting. They’re becoming an internal champion of Redbooth, figuring out how all the functionality works, and building their projects on a grander scale. They need the tools and inspiration to create workflows that are relevant to them and their team. Whereas the end user wants to really focus down on the basics: How do I use it? If I get assigned a task, what does that mean? What do I need to do next? And we’ve consistently found that training and resources are more effective when we differentiate between those two categories of users. Adoption is higher and the entire process is faster. So far we’ve shared the bootcamps with selected admins, and they’re very, very excited. They’re happy not only to have their own bootcamp, but to have something that’s also tangible to give out to their team. So when they see the actual bootcamp and everything laid out from A to Z there, it’s a huge, huge step in the right direction for them. And because the way a user utilizes the bootcamp is to actually launch it inside of Redbooth, their team members are learning about Redbooth — and at the same time they’re actually in the platform using Redbooth, so it’s really a double win for them. And the answer is no, not at all. You can be accessing this bootcamp even during your trial phase. You could be in the admin bootcamp, you could have members of your team in the user bootcamp, and everyone could really be understanding the platform and determining whether it’s the right fit for their team. 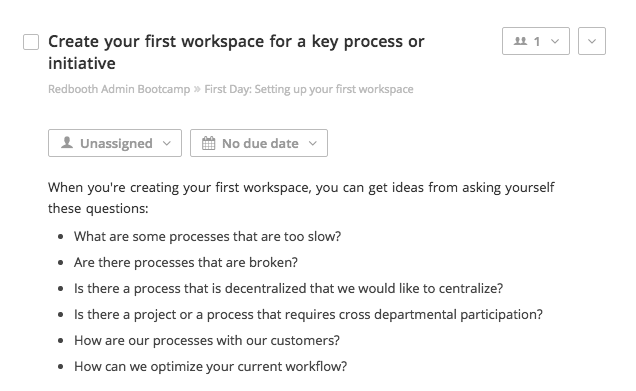 In fact, both bootcamps are a part of our new workflow templates library. What makes the bootcamps unique is that they’re actually workflow template that are specifically about how to build out your own workflow in Redbooth. They’re easy to launch right in your Redbooth account (you can check out a step-by-step walkthrough first). 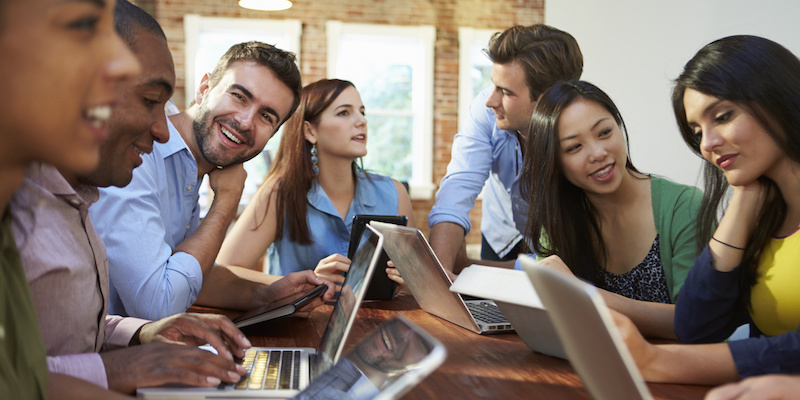 It’s a wonderful way to lay the groundwork for successful engagement, team productivity, and ROI. Start your team’s 30-day Redbooth trial today! Then head over to the templates library and check out the Admin Bootcamp or the User Bootcamp. Samantha is a Customer Success Manager at Redbooth. She brings more than 10 years of customer service experience in SaaS, marketing, and hospitality. Samantha also has a master’s degree in International Relations with a focus on Criminology. When she’s not working hard to inform and delight Redbooth’s customers, you can find her running the coast with her new puppy.